Twist: YCP Candidate & His Wife To File Nominations! AP Government is yet to approve the Voluntary Retirement sought by CI Gorantla Madhav more than two months ago. There was no change in the approach of the State Government even after Tribunal and Chief Electoral Officer issued orders seeking approval of VRS. 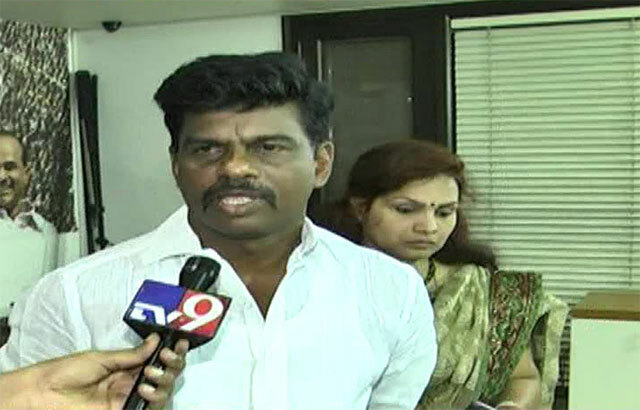 This development could prove costly for the Ex-Cop as his nomination for the Hindupur Lok Sabha Segment could be rejected if VRS Application wasn't approved by Tomorrow. YSR Congress Leadership has come up with a strategy to foil the plan of the Ruling Party to prevent Gorantla Madhav from contesting in Hindupur Constituency. Jaganmohan Reddy decided to field Madhav's Wife Savitha in Hindupur Constituency if the former Cop's nomination is rejected. Speaking to media Today, Gorantla Madhav accused Chandrababu Naidu of holding grudge against him. 'Sought VRS almost three months ago, Still it hasn't been approved till date. Intelligence DG and Kurnool DIG have been acting as per the instructions of Naidu. Tomorrow, Both Me and My Wife will file nomination for Hindupur Lok Sabha seat. If my nomination wasn't approved, My Wife will be the YCP Candidate for the Parliament Constituency,' he declared. Its Jagan Versus Pawan! CBN Not Even In Race!! Is This The Strategy Of CBN & PK?